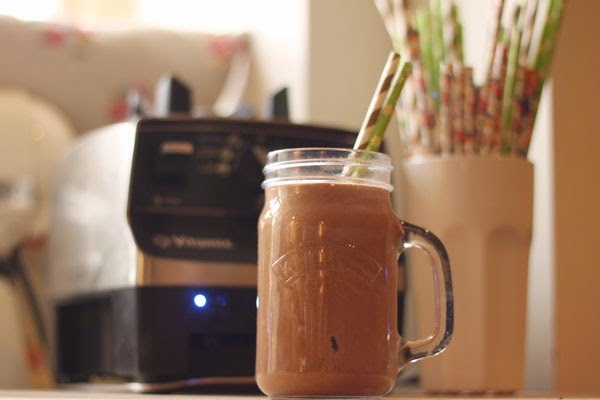 I ummed and ahhed about what to call this - is it a smoothie - is it a milkshake - but I then settled on my favourite chocolate milkshake because that's how it feels to me ! I have one almost every day. I will have it for breakfast, brunch or an afternoon snack and it curbs that sweet craving you get perfectly. Plus it's 2 of your 5 a day ! How can you go wrong ? It doesn't taste 'good for you' - but it is ! 1 glass cold almond Milk (or milk of choice) I use Rude Health or make my own. Pop it all in the blender and whizz. 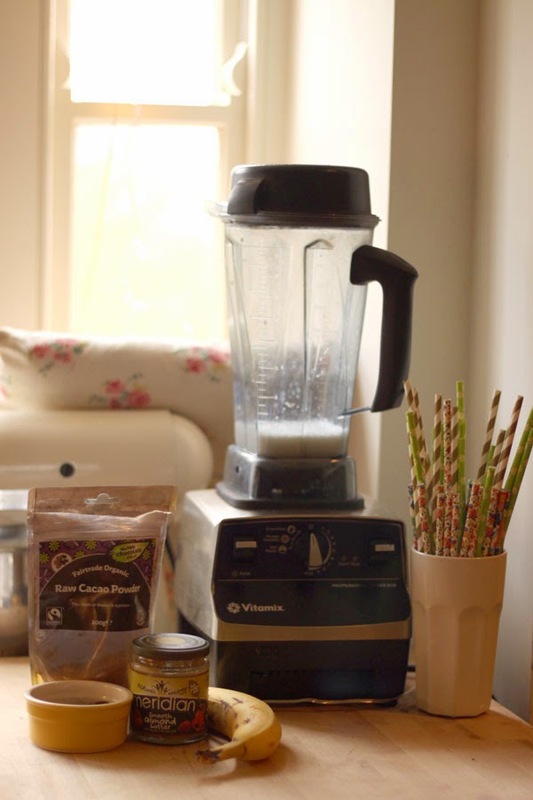 I have the amazing Vitamix which allows you to choose the 'smoothie' setting and it does the work for you, otherwise blend well for about a minute ! Pop in your favourite glass with ice & a paper straw & enjoy ! Let me know if you try it and if you love it as much as I do ! I hope you do ! I have been lent a Vitamix to enjoy but this is not sponsored. I just wish I could keep it forever because it's AMAZING!